Employers have a legal responsibility to their employees to make the workplace safe. Unfortunately, accidents happen even when every reasonable safety measure has been taken. Workers Compensation insurance is a form of liability or casualty insurance that provides wage replacement and medical benefits for employees who are injured in the course of employment. Workers compensation insurance can also cover work-related illnesses. Worker’s Compensation insurance is offered in exchange for the employee’s mandatory relinquishment of his or her right to sue the employer for negligence etc. When businesses purchase workers’ compensation insurance, the policy assumes the employer’s statutory obligation to pay medical, indemnity and death benefits under the law. Insurance premiums reflect the businesses potential liability for claims based on individual experience, wages paid to employees and the industry in which a business operates. In most states, workers compensation insurance is mandated by law and is administered on a state by state basis. In such situations, a state governing board oversees varying public and private combinations of workers compensation systems. Failure to carry workers’ comp insurance can leave a business vulnerable not only to paying these benefits out of pocket, but also to paying penalties levied by the states. Coverage for employees who are injured while working in states outside those where your business normally operates. Coverage for various types of injuries and illnesses. 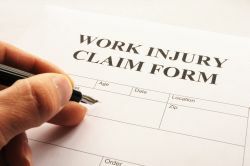 The cost of workers’ compensation benefits is based on the gross payroll and the number and severity of illnesses and injuries that type of employer experiences, and the employee’s occupation. A number of factors come together to determine your rates, including how many claims your employees have previously filed while employed by your business and the severity of those claims. Worker’s compensation rates will also depend on how hazardous your employees’ job duties are. 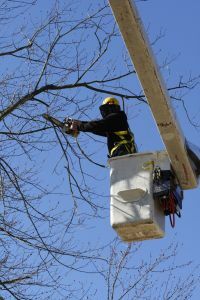 Employees in riskier work environments will have higher insurance premiums than employees who do not perform physically challenging or otherwise dangerous work. Specifically, workers compensation insurance rates are determined as a percentage of each employee’s wages. For workers who do not perform dangerous tasks, the percentage businesses are responsible to pay is low: likely 0.25-1 percent of wages. However, for workers who are at a greater risk of injury or illness, employers or businesses will likely pay 10-15 percent of the employee’s wages. It is important to note that workers’ compensation should not be confused with disability insurance or unemployment payments. Worker’s compensation insurance only pays workers who are injured on the job, while disability insurance pays out regardless of when or where the insured is injured or disabled. Unlike unemployment income or disability benefits, workers’ compensation is always tax-free.